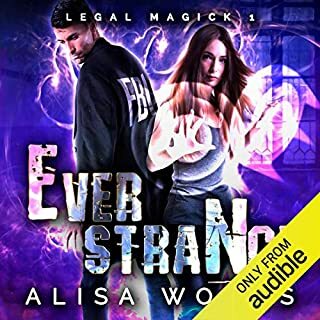 Another great series starter from Alisa Woods. I've read her entire dragon and wolf shifter backlog, so I was excited to read this new series from the moment it was mentioned. This is the first book of hers I've listened to (I read a bit of it, but mostly listened) and I have to say I'm well pleased to have purchased it. I really enjoy audible books being done in duet (either true duet or by chapter like this one) so I was majorly excited to find this was done that way. For clarity, each chapter is written from either Zane or Ever's perspectives and the narrator is different for each character. I find it makes listening to a book much more immersive when each perspective has its own voice. The story was immersive and the world building well though out as I've come to expect from Mrs. Woods' works. The world is essentially ours just a little in the future but in which magic is an every day part of life and pretty much decides the hierarchy of the world. Zane being an Incubus was as much fun as I hoped. Don't get me wrong, he was definitely a dark and damaged character, but he was also thoroughly fleshed out and extremely captivating because of it. Ever was a similar level of broken in a different way that made them a perfect fit. They're journey to discovering that really made this book the romance it is. The overarching story plot was not completed in this, of course, as we still have two sisters yet to get stories for. The idea of drugs and crime trying to change the world isn't new, but the spin on it in this is definitely a new take. I won't say more so I don't spoil anything, but suffice to say this is a crime drama/magical/romance story that also brings in family as a strong element. Also, know that it's definitely steamy and 18+. Fantasy, highlanders, and a kickass heroine! If you've never read a Hazel Hunter book, you're missing out. Her books are wonderfully romantic and amazingly magical. 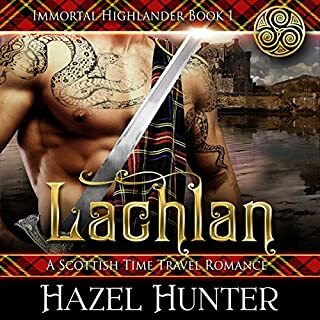 This is the first audiobook she's released, and the first of her Scottish highlanders series (the first one, she's working on a second now). William Macleod has a wonderful Scottish accent to bring this book to life. Don't get me wrong, it definitely sounds odd when he does Kinley's voice because his voice IS so deep, but he loses the accent like a professional so you can't miss who he's going for. Heads up to listeners/readers: this is NOT a time piece. It is a definite fantasy with immortals, druids, magic and time travel. Wonderful fun was had, but I know some people don't do fantasy. Now that's not to say I don't suggest giving it a shot, because you'd be missing out for sure! If you like strong heroines, Kinley definitely fits the bill. Loved her. Lachlan made a great lead, even in his abject confusion. Has to be the funniest installment yet! I laughed aloud so many times during this book I couldn't count. Seriously: this has to be the funniest installment in the series yet! This was hilarious, start to finish! I have never listed to a book narrated by the person who wrote it, but I have to say, this one was a ton of fun. I listened to the excerpt, laughed several times, and promptly decided to give it a go. 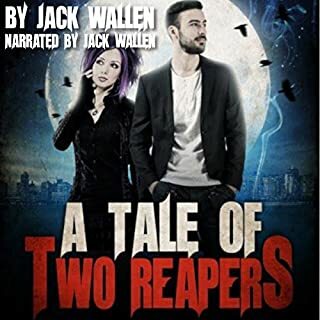 The story takes a very humorous look at 'the grim reaper' and his world, and then promptly throws a wrench in the order of that tale. I enjoyed the universe Mr. Wallen painted for us, as well as the odd personalities he gave the characters. Some of his accents were off (his Jamaican sounded more Scottish than anything) but if anything that made me giggle more. There were, however, definitely some questions that were left unanswered. I have yet to read the second book, but hope it gives a few more insights. Overall, this is a very funny listen, with a gentle nod to a philosophical depth that was unexpected, but enjoyable.